Saving money at the commissary and exchange when you’re living at Peterson Air Force Base in Colorado Springs, Colorado, doesn’t have to be a hassle. 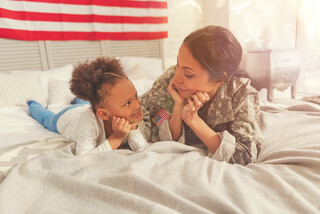 At MyMilitarySavings.com, we are familiar with the difficulties that military life can present for you and your family, which is why we’ve worked hard to scour the internet for the best savings available so that you don’t have to. We offer coupons and other discounts from a variety of sources, all gathered together into one user-friendly online savings hub that you can use to make the most of your next shopping trip to the exchange or commissary. We also provide helpful links to other sources of great savings for military shoppers. That includes the websites for the Army and Air Force Exchange Service (AAFES) and the Defense Commissary Agency (DeCA). Plus, at the DeCA website, you can add coupons directly to your Rewards Card for instant savings at checkout. If you’d like to find out more about our helpful tools for savings at the commissary and exchange at Peterson AFB, enroll today for your free account at MyMilitarySavings.com.